Cheshire, Conn. — The Lane Construction Corporation, the U.S. subsidiary of Salini Impregilo Group, won a design-build contract in Florida to construct the Wekiva Parkway (Section 8) in Seminole County. The contract is valued at $253 million. The contract supports Lane’s recently renewed strategy in the U.S., which is focused on building large-scale, complex infrastructure. Lane has a long history in the state of Florida with other large infrastructure works including the I-4 Ultimate Improvement Project in Orlando; Osceola County Line to the Beachline Expressway/SR 528; and the Suncoast Parkway 2 leading north of Tampa. The Section 8 contract will design 2.63 miles of limited access toll road from Orange Boulevard to east of Rinehart Road. 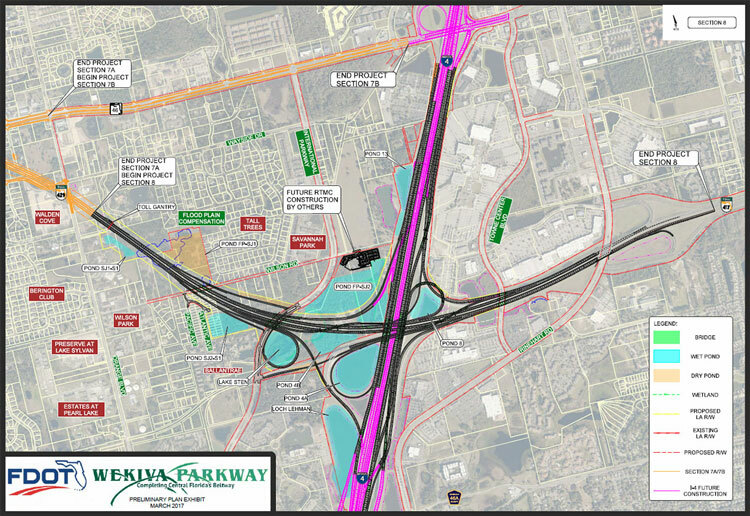 The project will include the new Wekiva Parkway interchange at I-4 that will connect with SR 417, completing the beltway around Central Florida. Construction is expected to begin in early 2019 and be completed in 2022. The contract is part of the overall 25-mile tolled Wekiva Parkway design that will provide travel alternatives and relieve other area roads of traffic congestion resulting from growth and travel between Orange, Lake, and Seminole counties. The project has been recognized for its environmentally friendly features that will help foster the sensitive wildlife it will encroach upon: 3,400 acres of conservation land, numerous wildlife bridges, and largely elevated roadways to reduce accidents between vehicles and wildlife. Other notable large infrastructure projects Lane is working on include The Purple Line Transit System in Maryland; the Northeast Boundary Tunnel in Washington, D.C.; and the Gerald Desmond Bridge in California.